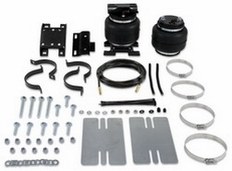 The part number for this Air Lift LoadLifter 5000 Air Spring Kit is 57204 and it fits 2007-2016 Chevy Silverado 1500 and GMC Sierr models. NOTE: Kit fits P30 & P32 chassis & 1993-1995 GP-30 Cutaway Chassis ONLY. Model year 1993-1999 P30 & P32 ONLY fits 14,500 GVWR and under.